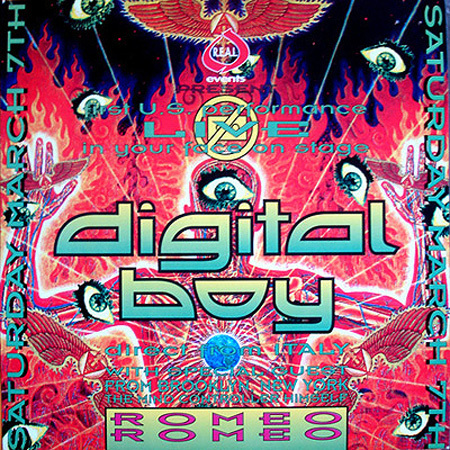 This event was on March 7th, 1992 and featured Italy’s Digital Boy. It was produced by R.E.A.L. Events and the flyer included an 8″flexi-record containing a mix of tracks by Digital Boy, an excerpt of My Sound by Joey Beltram, and a voice over from Romeo Romeo.